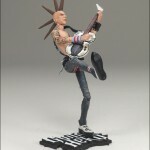 McFarlane toys has announced that two new Guitar Hero figures will be shipping this February. 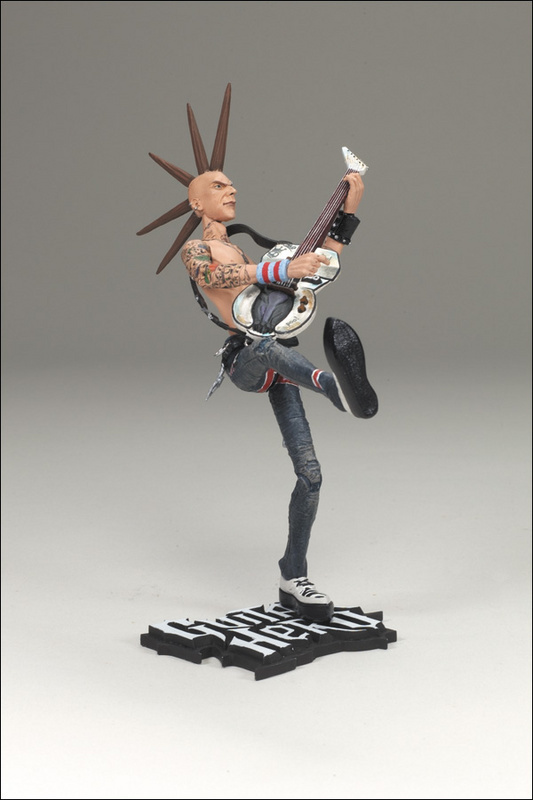 We’ve got a couple of awesome 10-inch Guitar Hero figures heading your way in February. 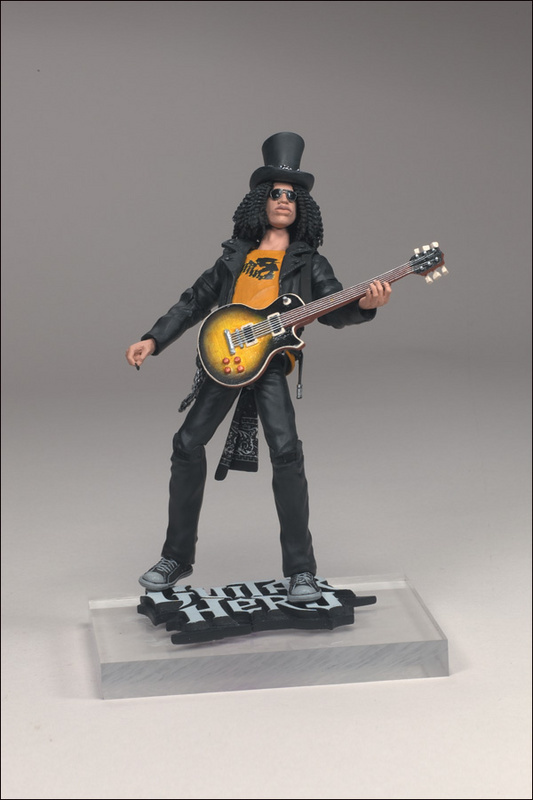 Two of Guitar Hero’s most popular characters, Slash and Johnny Napalm are ready to rock your collection in a colossal new scale. 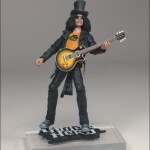 Both figures have more than 18 moving parts; include a guitar that is interchangeable with our other Guitar Hero figures, and a sculpted Guitar Hero logo base. Figure measures 10 inches at top of head (11 7/8 inches at top of tallest liberty spike). Articulated at neck, shoulders, biceps, elbows, wrists, waist, hips, knees and ankles. 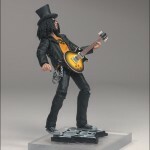 Includes guitar and 5 inch wide by 3 1/2-inch deep Guitar Hero logo base. Figure measures 11 inches at top of hat. 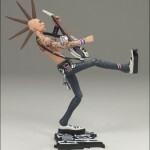 Articulated at neck, shoulders, biceps, elbows, wrists, waist, hips, knees and ankles. 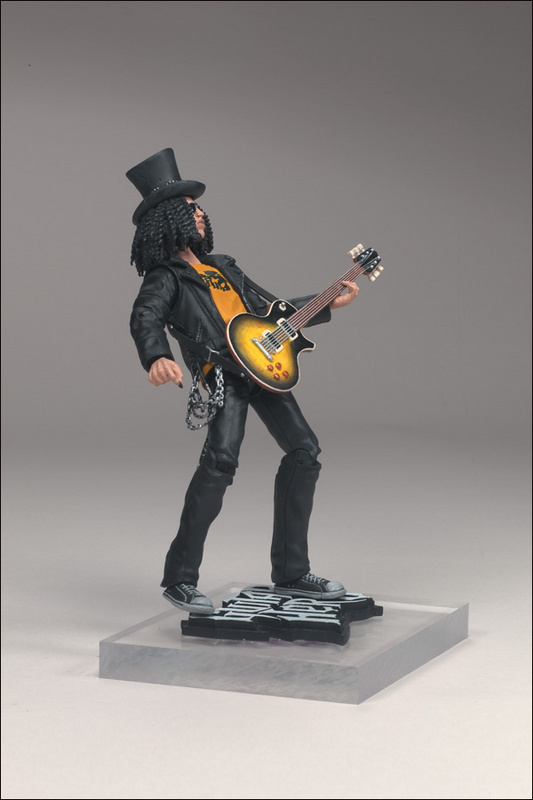 Includes guitar and 5 inch wide by 3 1/2-inch deep Guitar Hero logo base. 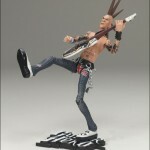 Also announced was that the Guitar Hero mini-guitars are now in stores. 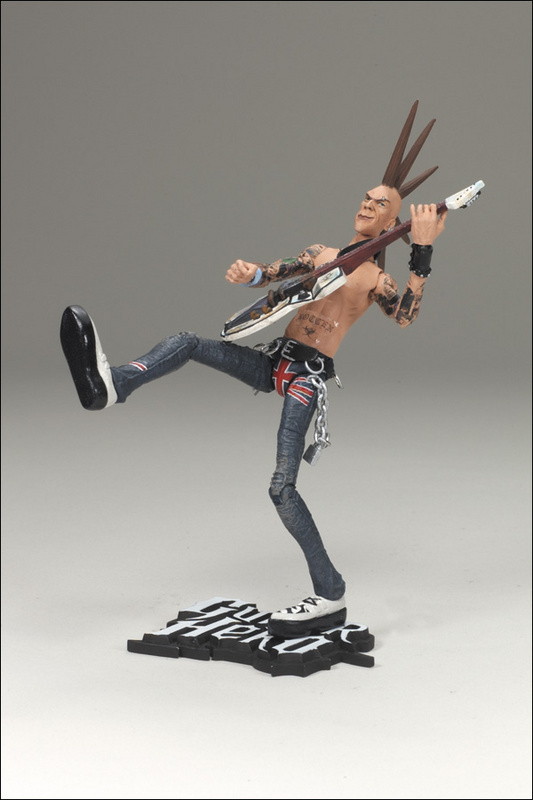 McFarlane Toys’ first series of Guitar Hero mini guitars* is now in stores. 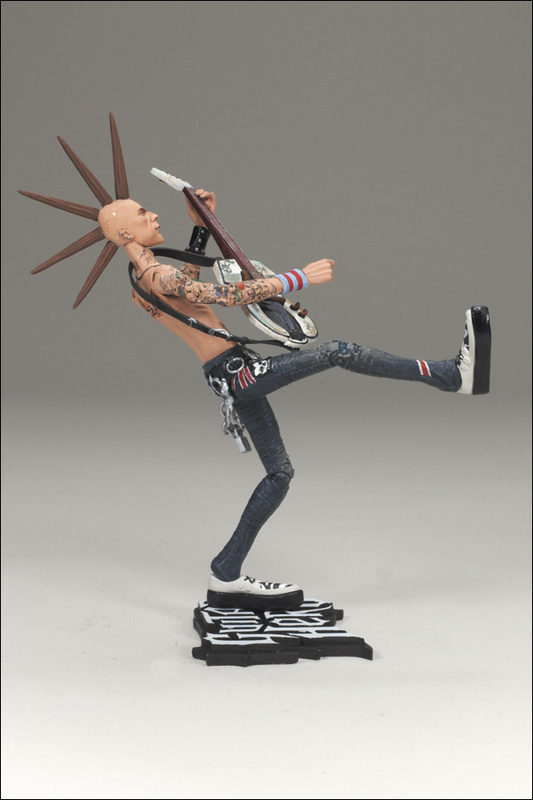 Mix and match guitar heads, necks and bodies to create your own custom axe! Sold as singles and in 2-pack “Duets,” you can collect a total of 12 body styles and paint variations for virtually unlimited combinations. 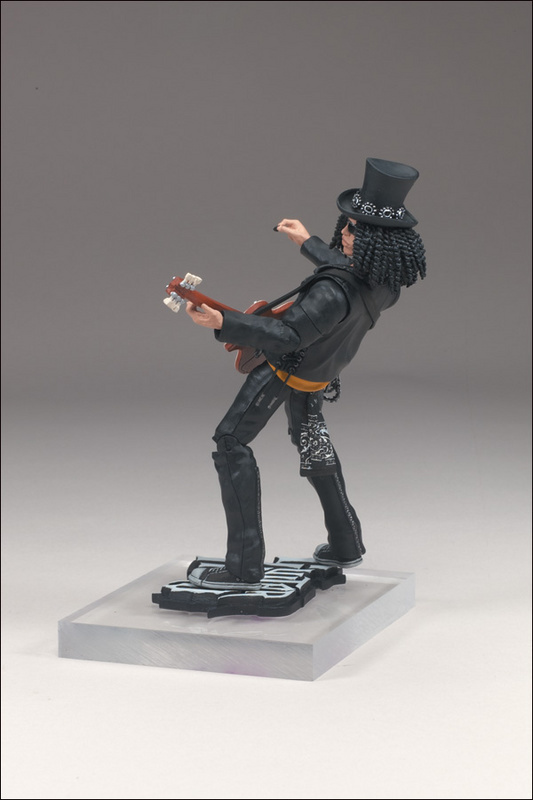 Each mini guitar also comes with its own stand. 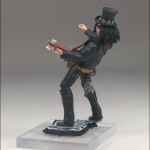 We have mirrored the images of Slash and Johnny Napalm. They can be seen by clicking the headline of the story.